Thekla Hamm works in the FWF funded research project "New Frontiers for Parameterized Complexity (FWF P31336)" under the advise of Dr. Robert Ganian. Guangping Li works in the FWF funded research project "Human-centered Algorithm Engineering: Graph and Map Visualization (FWF P31119)" under the advise of Prof. Martin Nöllenburg. Neha Lodha works in the FWF funded Doctoral College "Logical Methods in Computer Science (FWF W1255)" under the advise of Prof. Stefan Szeider. 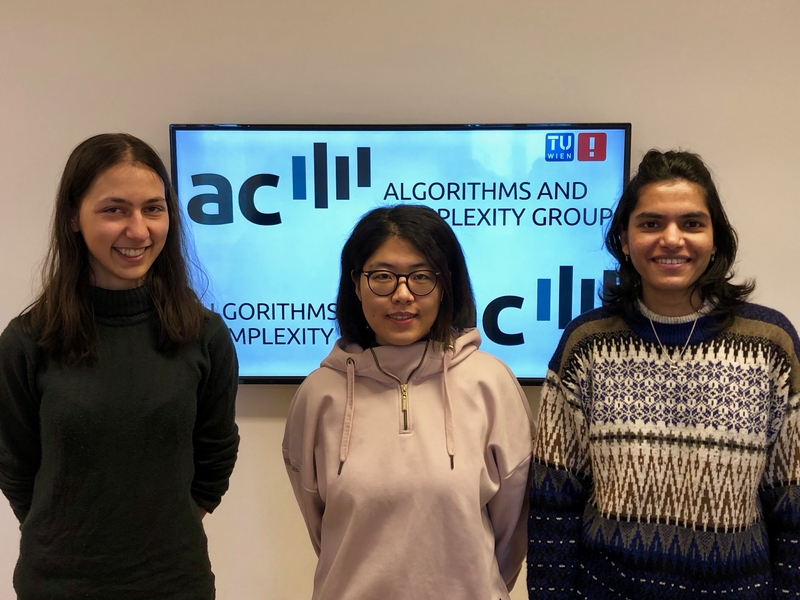 Thekla and Guanping joined just recently, Neha is close to completion of her PhD work. BTW: There is currently an opening for a PhD research position.